Every November, since 1997, the President has issued a proclamation recognizing National Family Caregivers Month. While the number of hours of care provided may be countless, the number of caregivers is known. The National Alliance for Caregiving and AARP have estimated 43.5 million people in the U.S. have provided unpaid care to an adult or child in the previous 12 months. That is 13.6% of the population. 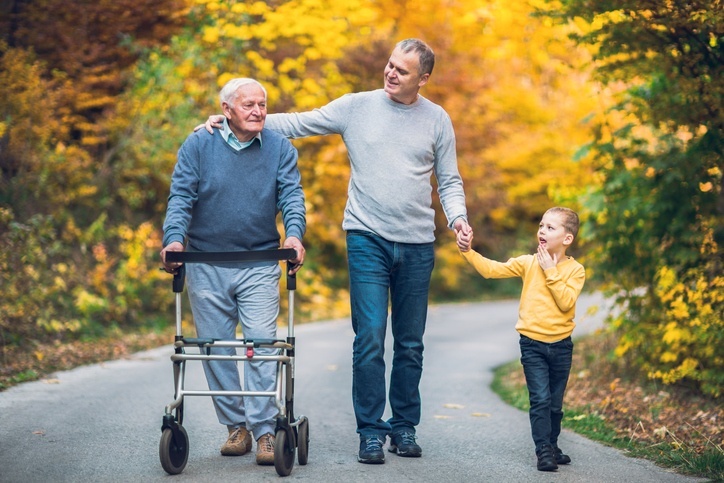 Families provide 80% of the long-term care in the US, and the need for information is great, and continues to grow, according to the Family Care Alliance. Anxiety and worry – You may worry about how you will handle the additional responsibilities of caregiving and what will happen to your family member if something happens to you. You may also fear what will happen in the future as your loved one’s illness continues to deteriorate. Anger or resentment – You may feel angry or resentful toward the person you’re caring for, even though you know it’s irrational. Or you might be angry at the world in general, or resentful of other friends or family members who don’t have your responsibilities. Guilt – You may feel guilty for not doing more, being a "better" caregiver, having more patience, accepting your situation with more equanimity, or in the case of long-distance caregiving, not being available more often. Grief – There are many losses that can come with caregiving (the healthy future you envisioned with your spouse or child; the goals and dreams you’ve had to set aside). If the person you’re caring for is terminally ill, you’re also dealing with that grief. Six in 10 caregivers report having experienced at least one impact to their employment situation as a result of caregiving, such as cutting back on work hours, taking a leave of absence, quitting, turning down a promotion or receiving a warning about performance or attendance. Over half of employed caregivers work full time (56%). One in five report the physical strain of caregiving is high. One in four rate it as moderate. Four in 10 consider their role to be highly stressful, while an additional 25% see their stress as moderate. One in five experience financial strain resulting from caregiving. Another one in five experience moderate financial strain. When asked if they had a choice in taking on the responsibility to provide care for their loved one, half of caregivers self-reported they had no choice in taking on their caregiving responsibilities. Accept offers of help from others and suggest specific things people can do to help you. Our counselors can help caregivers better deal with their stress and other impacts on their lives. Counselors can also point toward resources that may assist in a variety of ways, whether it’s specialized medical providers who can assess Alzheimer’s, autism spectrum disorder (ASD) or other potential disabilities, to specialized housing, to sources of respite care. Our financial and legal resources can help when employees need advice on caregiving-related issues, such as taxes, estate planning, disability and more. VITAL WorkLife also offers members unlimited access to a wealth of web-based resources on the VITAL WorkLife Member Site, including articles, information and tips on caregiving. Are you interested in learning more about VITAL WorkLife and we can help support your organization and employees? Get in touch with us online or at 800.383.1908 for more information about our robust EAP program and additional well being solutions. Shawn is a Senior Consultant for VITAL WorkLife. Shawn has an MEd degree in counseling from North Dakota State University, and is a Licensed Professional Counselor and a Certified Employee Assistance Professional. He has over 12 years of employee assistance experience and an additional 7 years as a counselor in a variety of settings. Shawn has expertise in the areas of anxiety and stress management, couples’ issues and critical incident stress management.